Let's see another review of the emerging brand Amara Organix and how it fairs on the name Deep Moisturising Lotion. The product doesn't have any brand claims so let's directly get started with the review. Firstly I loved the plastic pump packaging and the pump just dispenses the right amount of product with ease. The size is, non travel friendly though. I really hope they also have a small package available. Now coming to the consistency of the lotion it is very runny. I don't know because of the weather or something else. 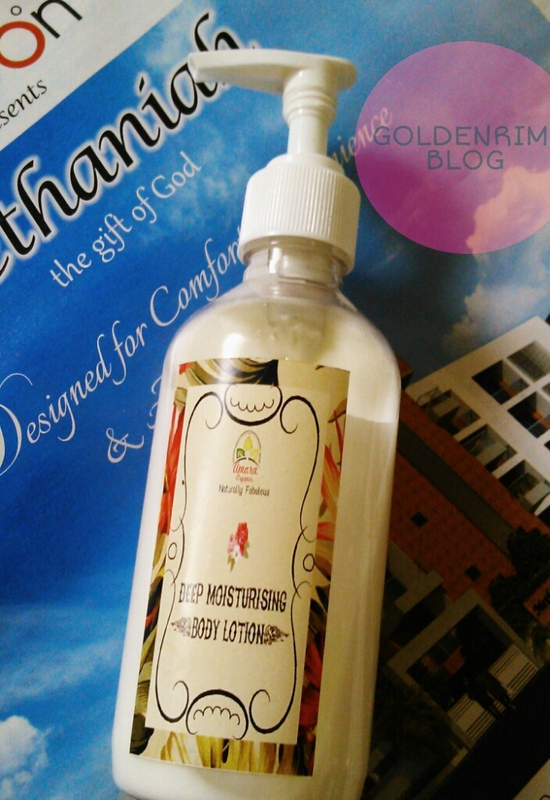 The lotion smells just normal like soap or some raw material fragrance which has overpowered the fragrance. Am unable to explain the exact fragrance. It is surely free of chemical and artificial fragrance but. The fragrance doesn't linger much and is not bothering unless applied in case. Now coming to the business part, I would really call this lotion a summer lotion. In summers we need just a little bit of moisturizing without much oiliness. Th lotion does the same, even if the name says Deep moisturizing lotion. The lotion takes a while to get fully absorbed into the skin. After getting absorbed we don't feel any oiliness, stickiness and greasy feeling. The skin looks a little bit shiny. But considering the fact that this lotion is free of chemicals I would not mind reapplication. Overall at such a decent price the product does a good job. Suitable to normal skinned people. Some may not find the fragrance pleasing. Availability - Available here. Orders can be placed via FB, email and WhatsApp. I would highly recommend it as a summer moisturizer even if it says deep moisturizing lotion. It is nonsticky, non-greasy and non oily and light weight. Plus no chemicals is an added advantage. It is very fairly priced also. But dry skinned beauties may need reapplication and the lotion may not be suitable for winters.